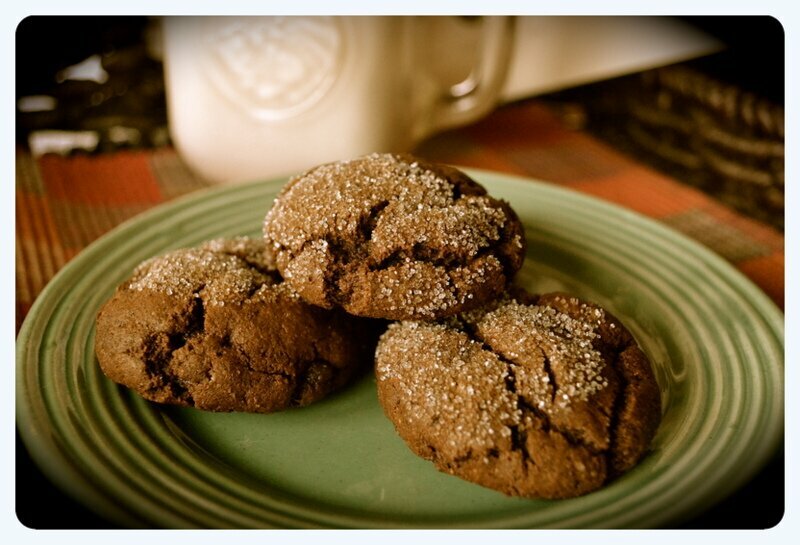 To read the rest of the story and get the recipe for these soft, spicy and delicious Molasses Crinkles, please visit my guest post at Keepin’ It Kind. Kristy – a talented and creative vegan cook and one of the gentlest souls out there – is hosting a virtual cookie exchange with lots of great bloggers and the recipes so far have been print-worthy to say the least. The fun started November 27 and continues through December. Thank you, Kristy, for inviting me to the party! I just came by to say how much I enjoyed your post over at Kristy’s blog! So beautifully written and the cookies sound delicious! I appreciate that very much, Cadry. I adore these cookies! It was a lot of fun writing the post and sharing the recipe. Kristy had a great idea, didn’t she?! Words of wisdom, my friend. Some cookies just = love. I bet those are moist and chewy. They look good! YUM! On my way to get this recipe! Go on – get outta here ;-)! Yum! I love a crinkle cookie. Those look great! Just the name is fun, right ;-)? I love your photos (and the cookies, obviously). These cookies are looking so freaking delicious! I must make them! Yum! These cookies were so wonderful! I made a batch with the intention of bringing them to visit family and well, between Chris and I, there were none left by Christmas day!